Celebrations of St. Patrick's Day, and all things Irish, including Parades and parties honoring the patron saint of Ireland will be a highlight in major United States cities, as well as Dublin, Ireland on March 17th. Below you will find a favorite St. Pat's Day recipe for corned beef and cabbage to enjoy at your 'wearing of the green' celebration dinner. New York, Boston and Chicago all feature great parades to celebrate this great day! Chicago dyes the river green. 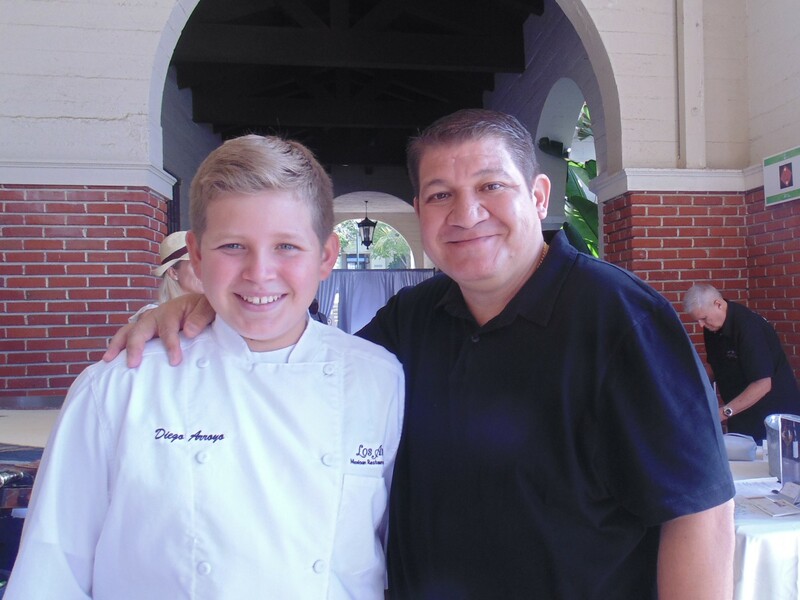 The Los Arroyos Restaurant is our Chef/Hotel feature this month. February was the Santa Barbara International Film Festival, and it was so exciting. Congratulations to Roger Durling, 900 volunteers, staff and celebrities who made it all spin beautifully. I so enjoyed seeing Isabella Huppert and the stars of La La Land receive awards. Visit: www.sbiff.org for details. Last month brought some fantastic talent at the Grammy Awards, and it is now time to honor excellence in entertainment reporting on the Academy Awards Oscar presentations for excellence in film in Hollywood, where the best of the best go home with the golden guy. Once again we visited celebrity gifting suites presented by special event professionals at all the Best Beverly Hills locations. The Doris Bergman Celebrity luncheon at Fig & Olive Restaurant was overflowing with stars and media. GBK at the Rodeo Collection was a glittering event with A+ celebs and sponsors where Gavin Keilly worked the rooms. TMG, Secret Room and Celebrity Collection also put on hot red carpet events. The Wow! twins and Roger Neal held court in Hollywood. . Check out celebrity photos and fun happenings for this Oscar season. Culinary coup features the latest in restaurant/chef news, as well as a report on Doris Bergman's Valentine pre-Oscar Celebrity Event at Fig & Olive Restaurant in West Hollywood - Fantastic party! We have news bites on travel destinations in our travel section. Spa Baby takes a look at the latest in healthy skin, and a fantastic new treatment at Burke Williams Spa. Health Minded section features some amazing new health innovations and Breast Cancer Awareness events, including Barbara Ireland Walk/Run for Breast Cancer Research. See BookBites for some wonderful new reads. Enjoy the recipes below to celebrate St. Pat's Day. See a beautiful poem on Ireland by my grand uncle John Walsh in our BookBites section. John co-authored a book of poems while he was in a seminary, but later became a co-founder of the American Theatre Guild and co-founder of the first Catholic Motion Picture Company in Hollywood, and later, as a marketer, raised the money to build Boys Town for Father Flanagan, who was from the same small town in Ireland. Happy March birthday wishes to my son Michael, and friends Rosemary & Christine Redlin. Hope you fish have a swimingly good time! Thank you for joining us this month, and we hope you enjoy our "It's nice to be Irish" issue. We wish you happy travels in 2017. Join us next month for our health and food news from the Natural Products Show in Anaheim, as well as new travel destinations and culinary treasures to enjoy. Please contact us with any news or questions regarding editorial requests or advertising rates.